Leslie Wilder is being bullied at school. The bullies accuse her of being a witch, just because she is different and likes cemeteries. Who is responsible when the bullies themselves are tormented in unearthly ways? 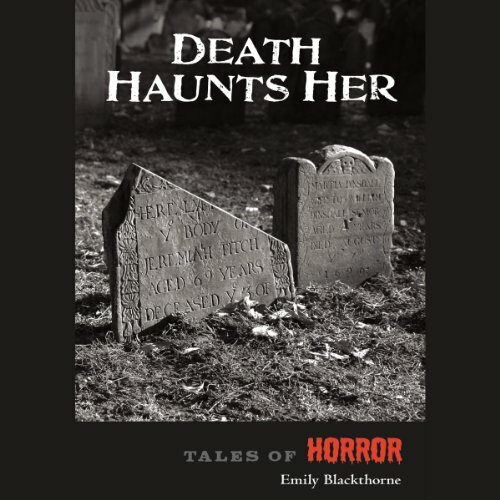 Death Haunts Her is one of Emily Blackthorne's Tales of Horror Series. Salem witches, werewolves, ghostly soldiers, and other members of the "undead" populate these five tales of horror geared for young teens and adults.